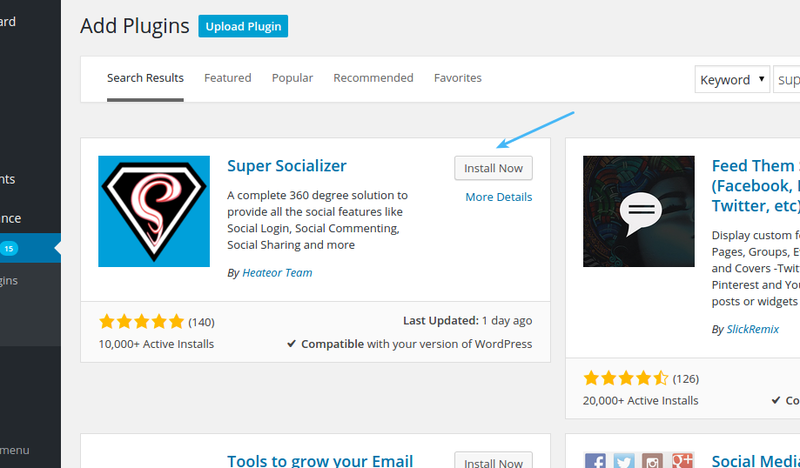 Social Sharing buttons are must have for websites these days. Adding these to your WordPress blog is no more rocket science. You just need to spare a few minutes from your schedule. Login to your WordPress website admin panel and navigate to Plugins > Add New page from left sidebar. 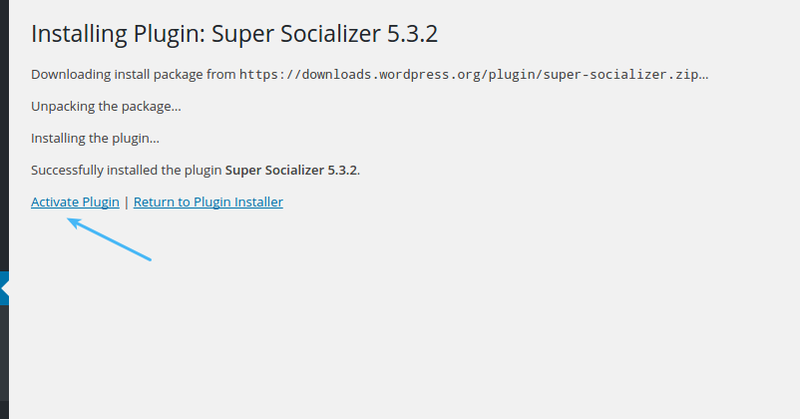 Type Super Socializer in Search Plugins text box and hit enter button. Tada!! Sharing icons are enabled at front-end of your website. 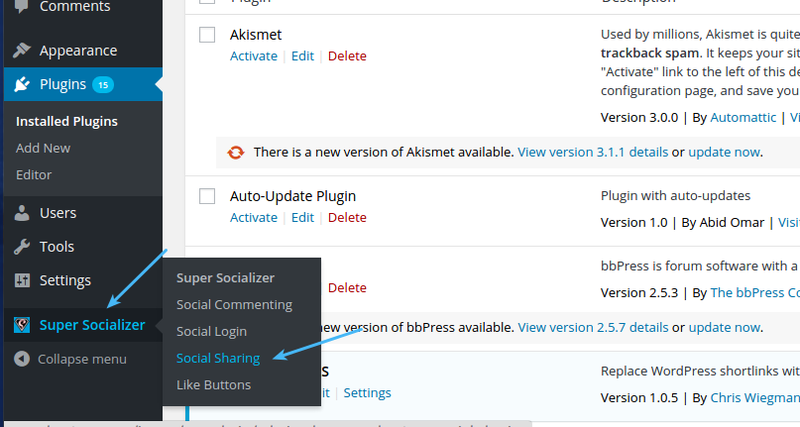 If you like, you can tweak sharing configuration by navigating to Super Socializer > Social Sharing page from left sidebar. 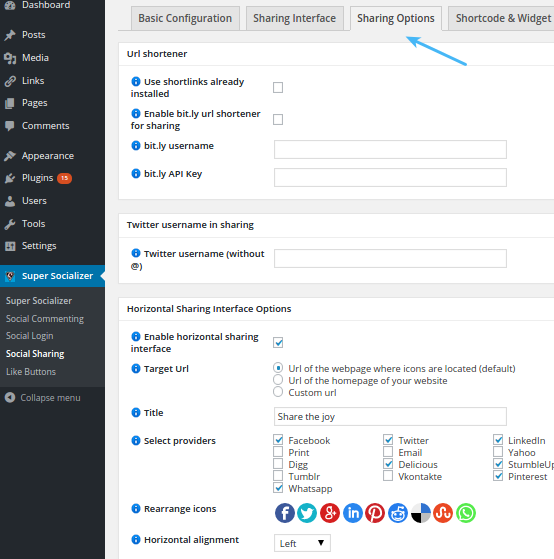 There are plenty of other options in Sharing Options section to enable/disable sharing on page groups, to add/remove social networks from sharing bar etc.